There's nothing quite like a vibrant pop of spring colour to inject a bit of vivacity into your transitional wardrobe. But which bold shade to pick? As someone with a whiter-than-porcelain complexion, bright colours tend to be somewhat of a sartorial enemy. 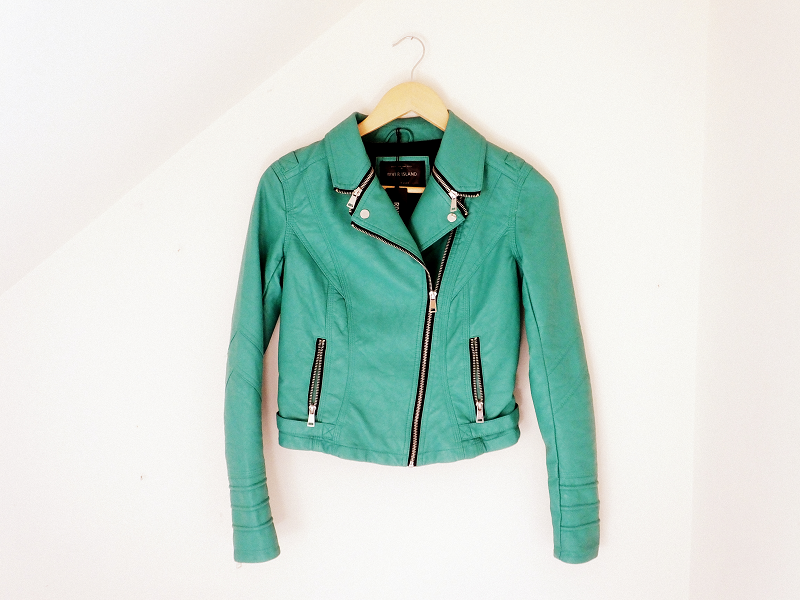 But ever since spying fellow pale gal Rosie Fortescue rocking this super cool cropped biker jacket, I've been scouring the high street for a duplicate to suit my non-MIC budget. 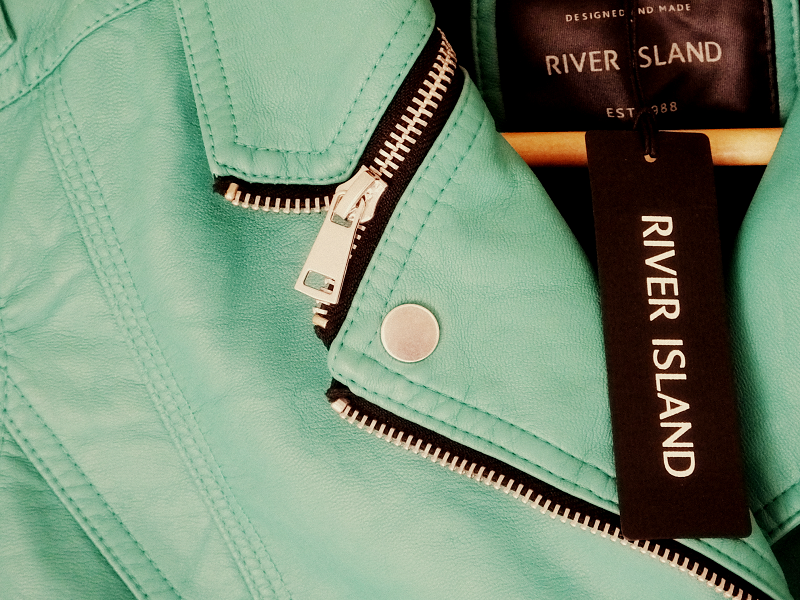 So when I popped into River Island @ Merry Hill a couple of weeks ago, I was thrilled to find this beautiful leather look biker jacket patiently waiting for me right by entrance. Not only am I in love with the colour, but the snug fit and extra detailing and embellishments really raise the stakes- especially the zip-up collar corners and ridges on the sleeves. As for how I'd style it? Well, I have SO many ideas. Colour blocking with bright button up shirts, co-ordinating with busy prints, head to toe black looks...but here's how I wore it today. A fantastic high street star buy. Go on. Be brave and embrace the green. How do I buy this jacket?